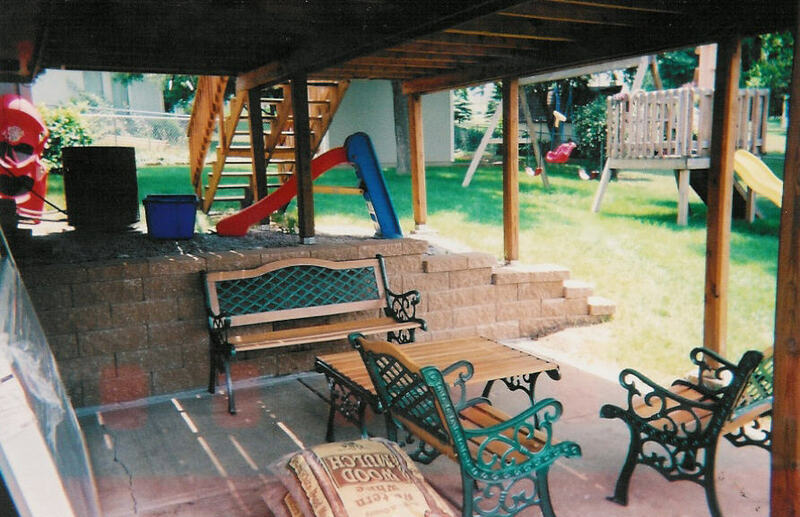 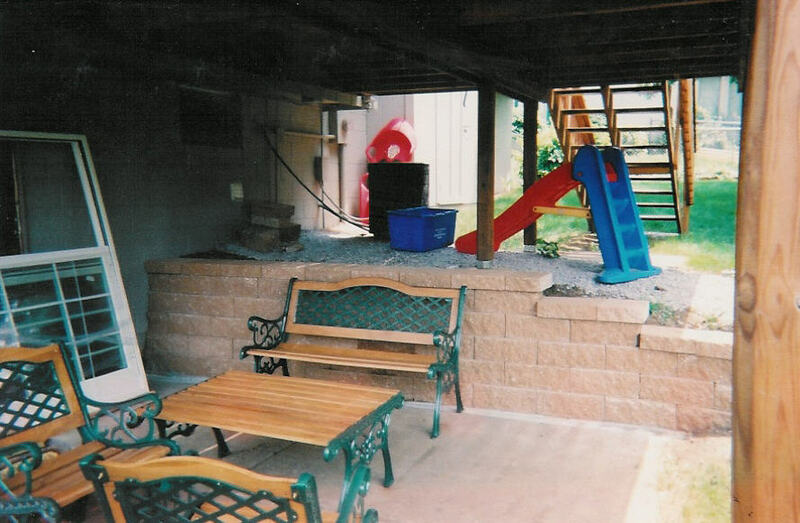 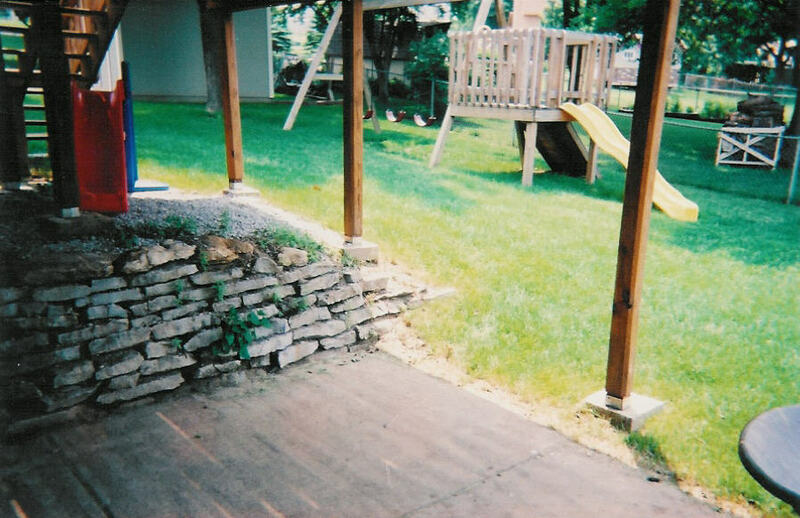 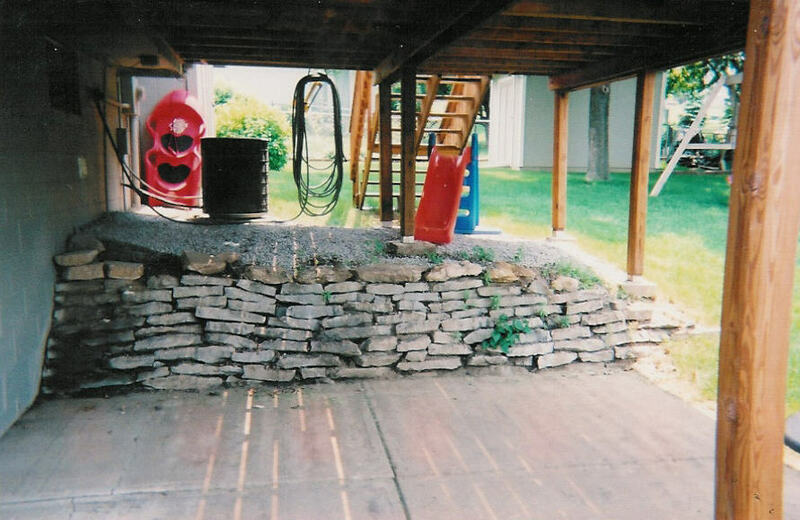 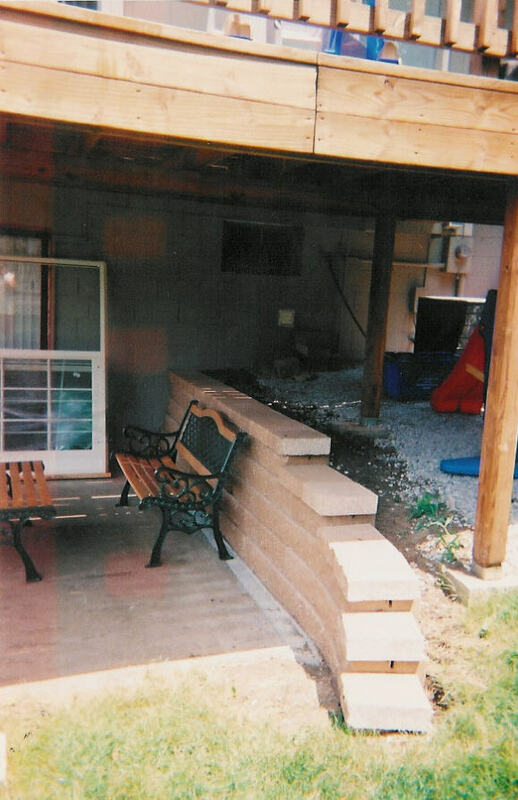 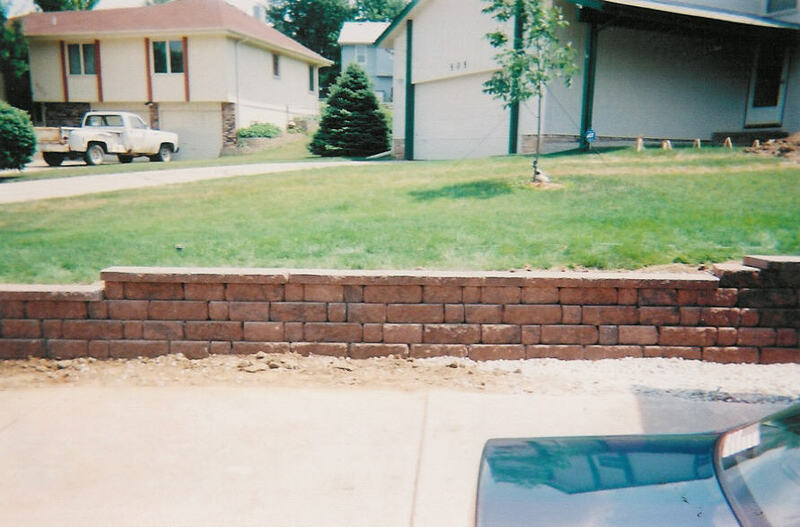 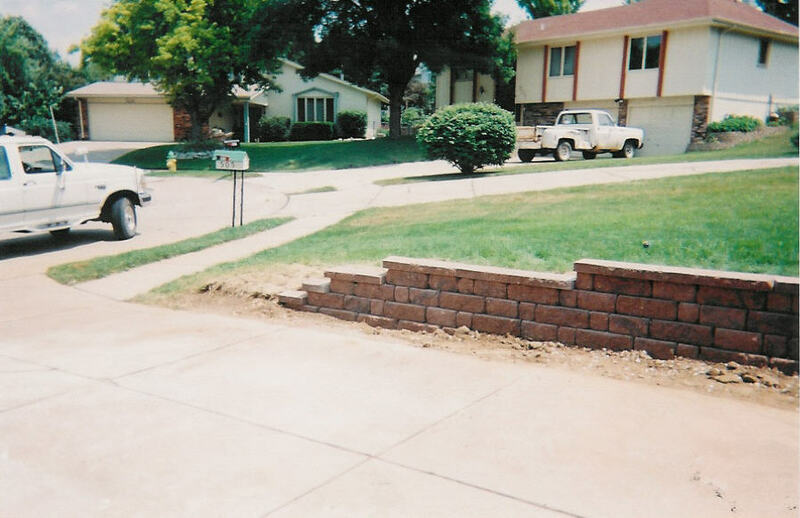 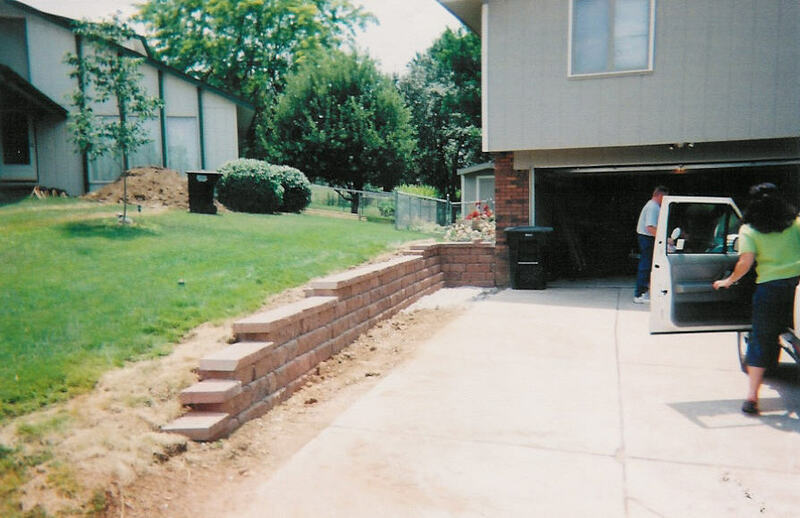 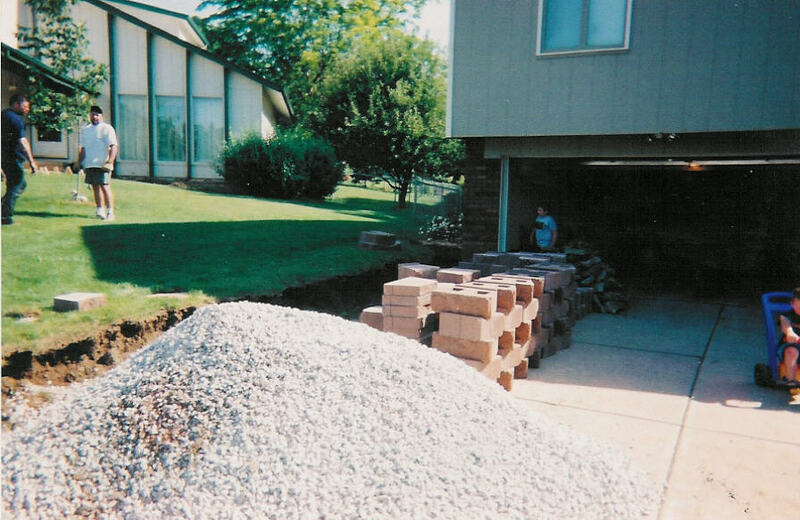 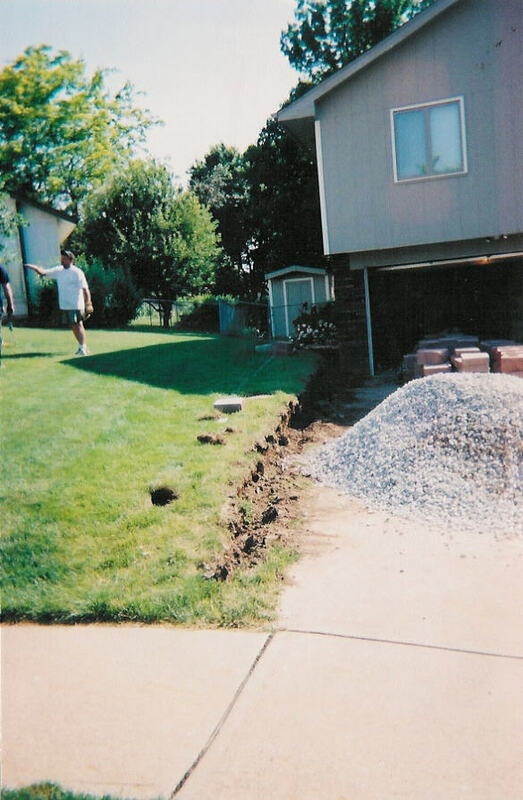 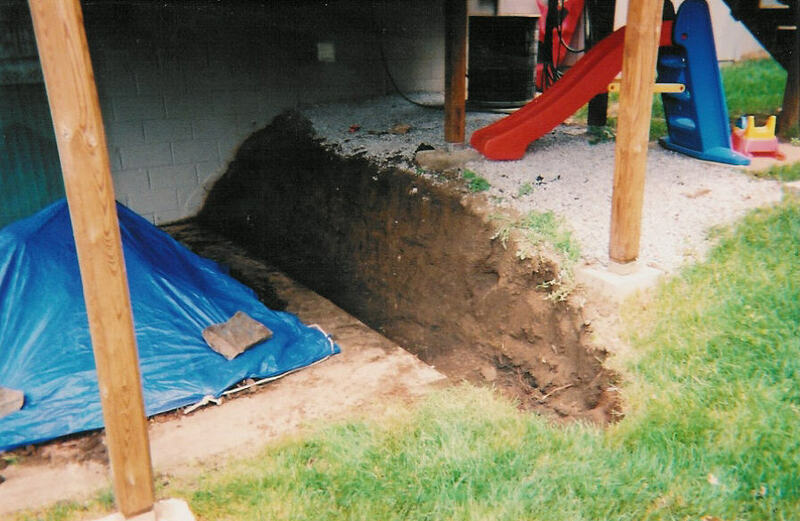 This was a two part project, a retaining wall underneath the back patio, and a retaining wall along the front driveway. 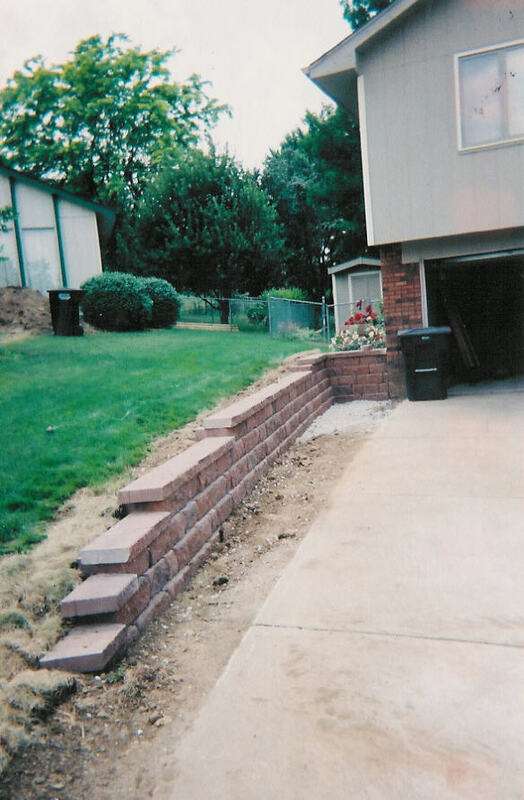 The back wall is made with Versa-lok retaining blocks and the front is made with a new style of block from Anchor. 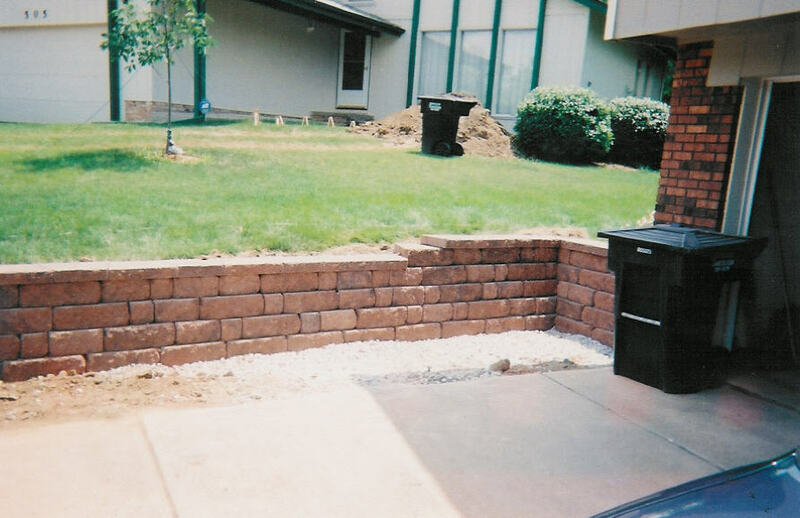 The new style of block really gives a more natural look to the landscape.